Ruth holds a Masters of Social Work from George Williams College of Aurora University and has experience working with children, adolescents and adults in various settings including Outpatient Mental Health, Schools, and Community Based Grief Support. Her work is client-centered, focused on understanding and collaboratively working toward solutions to the issues presented. Ruth believes deeply in a person’s right to self-determination and in the dignity and worth of every person. Ruth has a deep appreciation for the challenges inherent in therapeutic work and embraces the struggle with her clients. Having been in transformative psychodynamic treatment herself, Ruth strives to create both an environment and relationship in which this type of experience is possible for others. 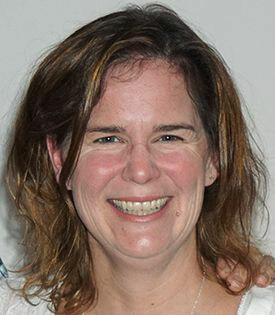 Ruth has worked extensively with issues related to Grief and Loss, Mood Disorders and Anxiety. Her approach is collaborative, empathic and authentic.